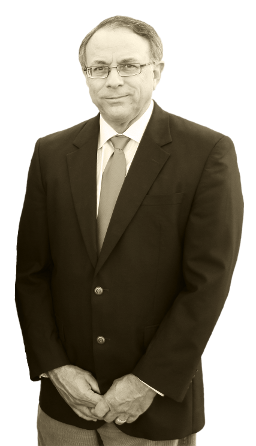 Among our team of experienced lawyers is Paul Johnson, He has more than 20 years of experience providing legal representation for workers compensation and social security disability insurance cases. Mr. Johnson is a native Southern Californian. A work injury in the 1980’s led Mr. Johnson to leave the construction industry and pursue a career as an attorney. After attending law school at night while still working, Mr. Johnson graduated from Citrus Belt Law School in Riverside and was admitted to the California State Bar in July of 1993. Having personally gone through the workers’ compensation system gives him a unique understanding and insight of his client’s concerns and frustrations. While representing injured workers Mr. Johnson saw the need for legal representation for client’s who’s disabilities prevented them from being able to work at all and were being denied disability by the Social Security Administration. To insure the highest level of representation of his clients for Social Security claims, Mr. Johnson hired a retired Social Security Administrative Law Judge to assist him. In order to remain current in both Workers’ Compensation Law and Social Security Law Mr. Johnson maintains membership in the California Applicant Attorney Association (CAAA) and the National Organization of Social Security Claimant’s Representatives (NOSSCR). Both of these organizations are active in legislation, interpretation and changes in the governing laws. In the past he served as President of the Desert Chapter of California Applicants’ Attorneys Association. Although every year Mr. Johnson obtains millions of dollars in benefits for his clients and completes numerous trials, hearings and appeals, he believes that knowing what to do and doing it, is what is most important in representing clients whether it is for Workers’ Compensation or Social Security.